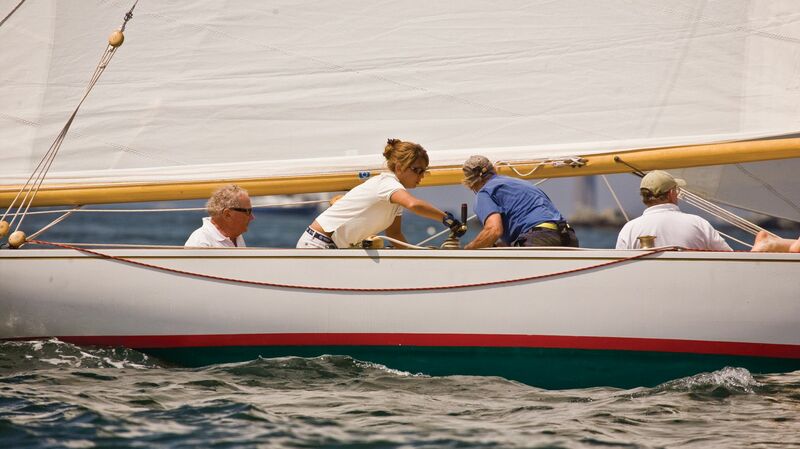 Newport is world-renowned for its unparalleled sailing and yachting opportunities. 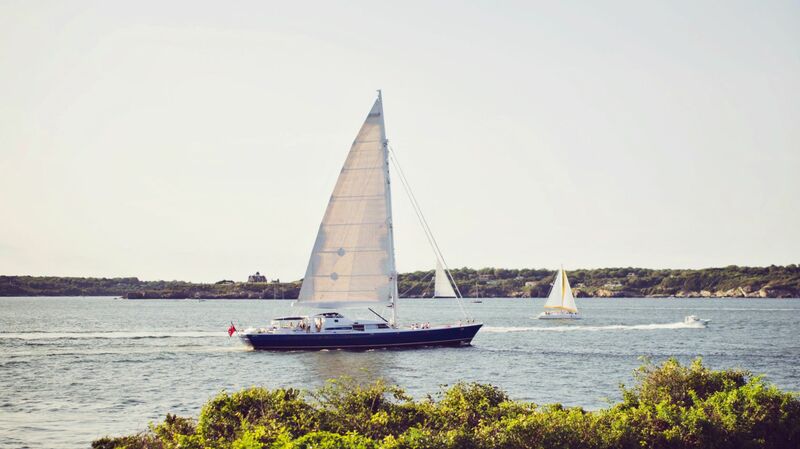 Whether you are planning a team building event aboard one of the America’s Cup 12 Meters or chartering a sunset cruise with family and friends on a historic yacht, our staff is happy to assist with a tour that works best for you. No experience is necessary to enjoy the adventurous ride aboard, but crews are happy to coach those interested in learning. During the summer months, Newport sunset sails depart from the marina docks, inviting guests to relax and enjoy a cocktail on the water during the twilight hour. The flagpole is a replica of the mast and rigging used on the 1905, Rhode Island built, Herreshoff NY-30 class sailing yachts. Hand-hewn by Pat Shea of Castle Hill Inn and shipwrights Jim Titus and Jeff Szala of Mt. Hope Boat Works, the 42 foot high sycamore spruce mast was erected on Friday, May 24, 2013. The team used archived blueprints from a 1917 vintage NY-30 to plan the restoration. The pole was fashioned from sixteen individual planks of rough-hewn wood, and then joined, planed, and sanded into shape. All work was done by hand, representing more than 500 hours of artisan craftsmanship. The flagpole, yardarms, and gaff pole were finished with eight coats of marine varnish. See for yourself by booking your stay at Castle Hill Inn today.